If you’re a man who wants to define or contour your body, you have choices: a better diet, an enhanced workout regimen, and/or a cosmetic procedure like liposuction. It’s the same for your skin: you can improve your skin tone by hydrating it with moisturizers, protecting it from the sun, and/or treating it with a cosmetic procedure. But what if you want to chisel your facial features? A diet or working out almost rarely helps, however, a cosmetic procedure could give you some wonderful results. To truly enhance your chin or sharpen your jawline, there’s only one great option – the G.I. Jaw™ procedure. Invented by New York facial plastic surgeon Dr. Philip J. Miller, the non-surgical and innovative G.I. Jaw™ procedure enhances your jawline and chin to create the chiseled appearance you want and others desire. The G.I. Jaw is a classic look for men. Sharp jawbone. Square chin. Telltale signs of masculinity that are often associated with strength and attractiveness. It’s why 54% of all chin augmentation and jaw enhancement procedures performed in the United States are for men according to the American Society of Plastic Surgeons. What Is the G.I. Jaw™ Procedure? The G.I Jaw™ procedure, trademarked by Dr. Miller, is specifically designed to enhance your already-attractive features by outlining the jawline, augmenting existing structures, and supplementing areas of the face. This procedure sharpens both the angle of the mandible and the area underneath the jaw to create a more defined jawline. When using implants, Dr. Miller is able to reshape the overlying soft tissue without interfering with the bony structure of the face. This minimally invasive method results in a reshaped face with more prominent, well-defined features. When implants are not used, there is little to no downtime. Recovery is shorter and more tolerable, advantageous for those with a busy schedule. Who Is a Candidate for the G.I. Jaw™ Procedure? Traditionally and biologically, a strong jawline has always given men an advantage both physically and psychologically. An in-person consultation with Dr. Miller is the best way to determine what treatments you need to meet your aesthetic goals. For example, the injectable facial filler Voluma could be part of the procedure to lift, define, and/or enhance a jawline for a more masculine appearance. It can be injected along the jaw to fill it out or directly under the chin to give it more prominence. These injections typically take no more than 30 minutes and have effects for up to 12 months. Fat-fighting Kybella injections, formulated with synthetic fat-melting deoxycholic acid, destroy fat cells to reveal a more sculpted jawline and better chin profile, perfect if you have a double chin. A series of treatments is needed with this technique and results take several weeks. Kybella is often a great choice to combine with fillers or implants to achieve a chiseled jawline. If you have the Neck-Tite™, radiofrequency-based procedure, to firm up the skin on your neck and underneath the chin, treatment can take up to an hour+. It further revealed a defined jawline and chin that can last for 12 months or more with proper diet and regular exercise. The minimally invasive chin and jaw injections are advantageous in that side effects are often mild, resolving themselves in 7-10 days. These may include swelling, bruising, soreness, redness, and itching. Implants, Kybella or the Neck-Tite™ radiofrequency-based treatment incurs almost no downtime or discomfort, but could result in minor, temporary swelling, numbness, soreness, or redness. 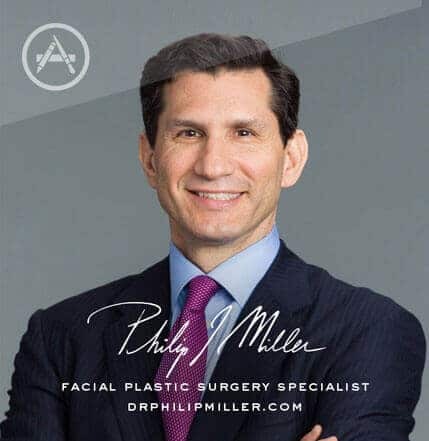 Invented and trademarked by Dr. Miller, the minimally invasive and personally tailored procedure could include a series of facial filler injections, implants, radiofrequency therapy, and fat-melting treatment to give a man a more masculine and chiseled appearance. What are the expected results and how long do they last? By chiseling the jawline and sharpening the cheekbones through a variety of treatments, a man can have a mo masculine and attractive appearance. Named after soldiers who have such features, the treatment gives a strong and muscular appearance. Depending on your treatment, results typically last for 12 months or longer if you follow a good workout regimen and a healthful diet. Facial implants create permanent results for jawline augmentation. Depending on the extent of the treatment that is performed, the procedure is well tolerated and incurs little to no downtime. For example, the facial filler injections are administered with ultrafine needles, which feel like nothing more than pinpricks or, as described by patients, a rubber band snapping on the skin. If you undergo the Neck-Tite therapy, there is almost no discomfort or downtime, as the gentle nature of the therapy involves nothing more than radiofrequency waves being delivered to the skin to tighten and firm it. The injectables and Neck-Tite may result in mild soreness, swelling, bruising, itching, numbness, and redness, all of which should resolve in 1-2 weeks. If you are in relatively good overall health, want a more defined jawline, a sculpted jaw/neck area, and a stronger-looking, more prominent chin, then you are a good candidate for this procedure. Because the G.I. Jaw™ procedure is customized for each patient, cost varies. You may choose to undergo fewer stages of the procedure than another man, which could minimize your cost considerably. To know for sure, schedule a consultation with Dr. Miller to discuss your goals and which techniques would be necessary to achieve them. For men interested in reshaping their lower face, the G.I. Jaw™ procedure could be the ideal way to achieve it. For more information about the procedure, schedule a consultation with New York facial plastic surgeon Dr. Miller by calling (646) 791-3025 or visiting us online. 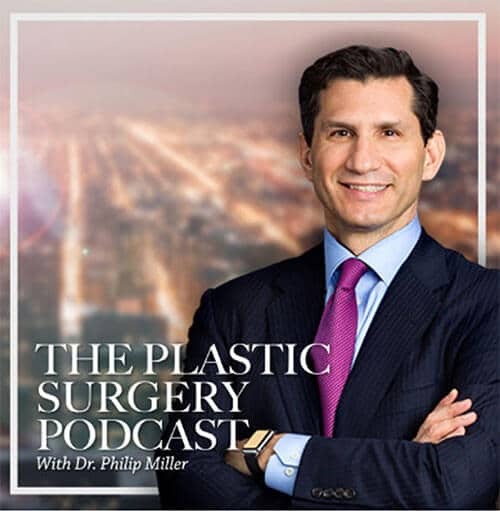 Episode 36: Do You Have to Break the Nose for Rhinoplasty? 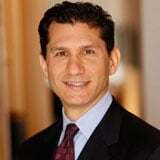 Episode 35: Do You Have to Stay Overnight After Having a Rhinoplasty? Episode 34: Don't Have a Rhinoplasty!